For specialized medical applications such as identifying gout or CPPD (pseudo-gout) crystals suspended in synovial fluid, gout microscopes assembled specifically for gout identification are used by labs and health professionals worldwide. 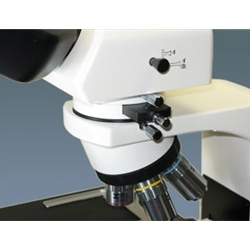 Meiji MT9540 ergonomic gout microscope. Medical professionals diagnose gout by taking synovial fluid from the infected joint in the process of arthrocentesis. Lab technicians prepare a wet smear on a slide and use polarized microscopy to determine the presence of sodium urate crystals (gout) or calcium pyrophosphate dehydrate or CPPD within the fluid extracted from the infected joint. CPPD crystals are small rods, squares, or rhomboids and are usually harder to identify without a gout or polarized light microscope. Polarizing filters can easily be adjusted when using the gout microscope, and the beam splitter allows light to be directed directly up to the camera if images need to be captured. 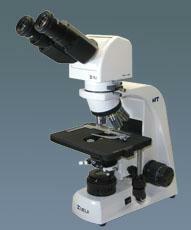 If you have questions about a specific gout microscope setup, please email us.